Why Cancer Bush Face Cream? Cancer Bush face cream is a highly effective ointment with a thick texture. When your face is dry and cracked not only in the winter, you apply Cancer Bush face cream to make your skin softer and smoother. This is not a aqueous cream because it locks moisture in the skin and prevents it from evaporating. Cancer Bush face cream provides a protective film to the skin, slowing water loss and increases moisture in the skin. It retains and/or preserves moisture in the skin, preventing the skin from becoming dry, but also helps to protect the skin from irritants. The pure glycerin included in the formulation enhances the water retention properties leaving the skin feeling soft. 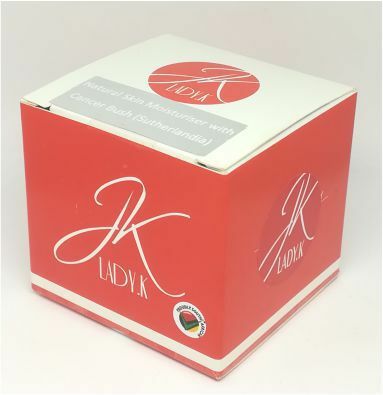 Cancer Bush facial cream with added herbs gently moisturises and restores your skin, leaving it radiant and glowing. Cancer Bush face cream caring for beautiful African skin, suitable for all age groups. How to apply Our Face Cream? 1. Gently smooth our face cream on, like you would any general face cream. 2. Avoid rubbing when your skin is exceptionally dry as this could make the skin itchier. 3. Its ideal to apply our face cream as soon as possible after having a shower or bath as it locks in the additional moisture. You can apply it morning and at night and even during the day, after swimming. Dry skin is a very common skin condition that occurs at all ages and that everyone will experience at some point. Dry skin causes discomfort and can be painful and embarrassing. Why do people get dry skin? Dry skin occurs more often in the winter when cold air outside and heated air inside because low humidity, resulting in the skin losing moisture. Cancer Bush is a natural herb traditionally used by the Nama’s for high sugar, internal cancers, colds, ‘flu, asthma, TB, bronchitis, rheumatism, rheumatoid arthritis and osteo-arthritis, liver problems, haemorrhoids, piles, bladder, uterus & ‘women’s’ complaints, diarrhoea & dysentery, stomach ailments, heartburn, peptic ulcers, backache, varicose veins and inflammation, mental and emotional stress, anxiety and depression and is used as a gentle tranquillizer. 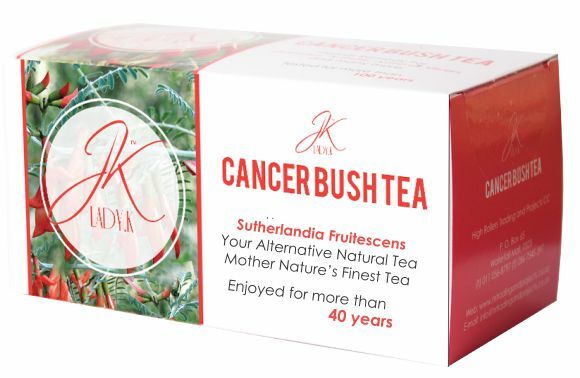 Who can use the Cancer Bush Tea? Everyone can use the cancer bush tea, but because of its bitter taste one needs to add some honey to make it more tolerant for usage. 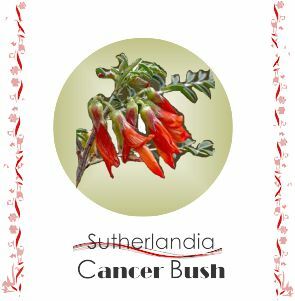 Lady K Sutherlandia / Cancer Bush Range | Powered by Mantra & WordPress.